Leader in land insurance, SMACL Assurances supports just over 20000 public legal entities, nearly 40000 associations and more than 40000 public members for their private or professional risks. 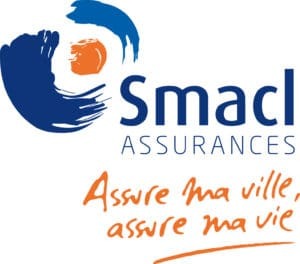 Today, SMACL Assurances has a turnover of €372.6 million and close to 750 employees. Our HR Department did not have a tool to create a complete map of currently held skills, to check compatibility and provide comprehensive scorecards. All information on the management of our employees and their skills were in “paper” format and were not centralised in the HR Department. The only time-consuming digital version available involved storing images (as pdf). It was therefore impossible for us to corroborate this information with our HR tools, our training tools, the internal database (recruitment) as well as with information issued on job boards. 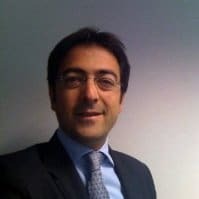 Taking into account business development and the increasing number of employees, the amount of information was becoming too substantial to be processed manually. Yearly reviews required a lot of time and investment and could only allow for limited evaluations. Global review management within SMACL Assurances needed modernising. Therefore, the new solution had to allow us to modernise and digitise the management and handling of yearly reviews. The objective was to offer employees visibility on the range of required jobs and skills so that they themselves could be proactive in their professional aspirations. At the same time, the solution had to be able to allow managers and department heads to access the required information in order to manage their departments and access currently available skills. Among the selected companies, it was NEEVA who best matched our specifications. Therefore, the NEEVA solution was chosen, and the software was quickly installed on a test server: installed on the personnel user interface, current training data recovered, and all features tested. Then the solution was presented to the CE (Works Council) and, after approval, we began change management meetings with employee supervision. HR users, administrators and employees undertook training sessions to come to grips with their new work tool. We launched a review campaign for a test run before launching our first digitised campaign. Since 2011, NEEVA Skills and NEEVA Entretien have allowed our HR Department to save time handing and monitoring interview campaigns, including data mining: such as analysis of key company skills, creating bespoke reports etc. NEEVA Entretien enabled SMACL Assurances to optimise annual review campaign monitoring, in particular by highlighting missed or pending reviews, which impact on training strategy. Another strength of the solution is the option to easily create all types of interview (appraisal, professional, induction, etc.). To some extent, leaving the “paper” method has also created cost savings. To conclude, we can confirm that the NEEVA solution benefits measure up to the original project challenges.